If you have had a good experience with an employee of the Alliance Police Department whether it be an officer, a dispatcher, or other person, we would like to hear about it. Please describe the incident and how the person helped you. We are always striving to improve ourselves and greatly appreciate your feedback. Thank you. Please type the employee's name. Please describe what the employee did for you. 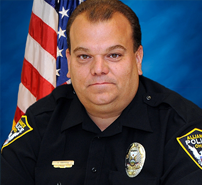 26 year veteran of the Alliance Police Department. Get recent info about the police department and local events on our Facebook page. We even have forms now on our page so you can contact us a request particular services or tell us how we are doing.